If you are throwing a birthday party for your child it is sometimes hard to find inspiration for the theme. You obviously want it to be kid friendly as well as being extremely accessible, in that you want both boys and girls to be able to participate. The best place to start is often, to simply ask your child. Children generally go through phases of deep interest in one subject and it is really nice if you can aim your theme to have their newest interest as the key element. If you really are stuck for ideas and your child seems like no help at all, or perhaps you want to surprise your child so consulting them would ruin the wonder, here are some ideas to get you on your way. Underwater Theme – Under water is great, the decorations are easy for a start, just a lot of blue crepe paper and shiny material as well as maybe some fish shapes cut out from orange card. Both boys and girls can get involved and there are endless possibilities for costume ideas from sea creatures and mermaids to sailors and divers. Power Rangers – This is perfect for a smaller party, one where all of the children have access to the costumes. Power Rangers is better for a boy’s party but since there are female characters too it is not an exclusively male theme. Alice In Wonderland – A mad hatter’s tea party is just the ticket for a children’s party steeped in wonder and fairy tale magic. You might have to do a little more on the decoration front with this one but you if you really turn your home into a wonderland it will be a party never forgotten buy your children. 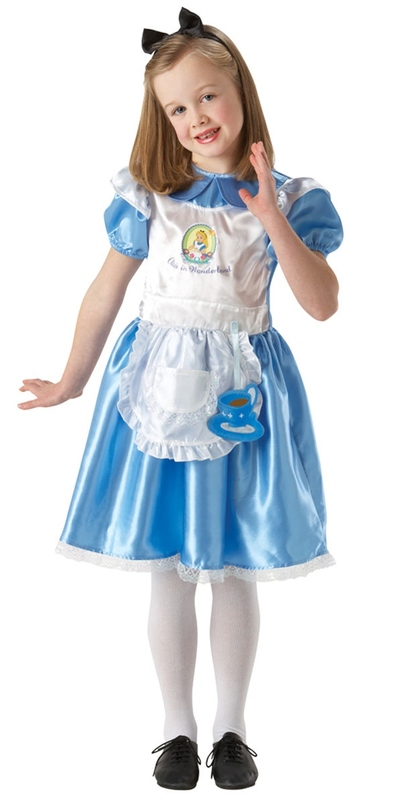 But to make sure things don’t get too out of hand, why not involve yourself in the party as the host, there are plenty of adult mad hatters fancy dress costumes at Fancy Dress Ball. The Very Hungry Caterpillar – Another children’s classic, a Very Hungry Caterpillar theme is a really great call for attempting to make children more interested in healthy food. The party can surround the types of food the caterpillar eats throughout the book and your party games can be on the same theme. Toy Story – Toy Story is a classic for both adults and children alike. There is no one who has seen this film who doesn't hold a special place in their hearts for it. There are loads of different characters to choose from and both boys and girls can pick and choose from the trilogy of amazing films. I love the idea of a Very Hungry Caterpillar theme!